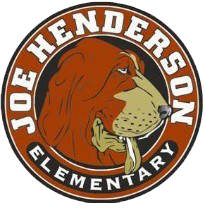 At Joe Henderson Elementary, we love showing our school spirit! We have our own line of official Henderson Spirit Wear that includes a variety of t-shirts, sweatshirts, sunglasses, hats, and much more. Stop by the office to see our Spirit Wear display featuring all of our available items. There are two ways to place an order. Orders can be placed through our online store, which you can find on the Homepage of this website, or you may pick up an order form in the office and submit a cash/check payment with the order form. Please note that we do not keep clothing items in stock. Clothing orders are all specially ordered. Orders are placed once a month on the last school day of the month in which they are received. Items will be delivered to the classroom approximately 2-3 weeks after that. Non-Clothing items will be delivered sooner. If you have any questions, contact Miss Hughes (khughes@beniciaunified.org). #GOHOUNDS!